Knowing your skin becomes important when it comes to skincare. 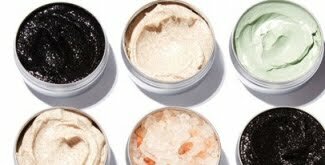 To choose best skincare, you should be aware of your skin tone, complexion, milanin and skin type. Our skin type is the most important factor which decides how we should treat our skin. Some people think that skin type can't be changed but the truth is that apart from our genes there are a number of other factors which decide our skin type, such as climate, hormones (they fluctuate a lot during a lifetime), medications (yes ! side-effects), diet and our allergies. While choosing a skincare product you should consider your present skin type and take your time in reading the description on the box to check if it is meant for your skin type. Most people think that skin complexion is same as skin tone, while the truth is that skin tone (also known as undertone) resides under your skin and can't be judged just by your complexion. Skin tone is either warm, cool or neutral. To know your skin complexion, you may look at the color chart given on right. Milanin present in our skin plays an important role in deciding our complexion, as its presence make our skin complexion darker. You may know your skin better by answering some easy questions. Question : How do you feel after washing your face and leaving it intact for an hour ? Question : What is the colour of veins inside your wrist ? Question : How does your skin reacts when exposed to sun ? After answering the above questions, you might have got an idea about your skin. It can help you in finding the right skincare products for you, but we will suggest you to also take advise from some expert as sometimes self interpretation can go wrong. 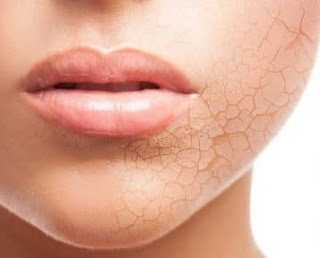 Dry Skin is most common problem during winters and most of us use a number of moisturizers to fight it but don't get the appropriate results. It is because we avoid the basic need of our body, i.e water. Water is must to keep the skin hydrated from inside, but avoided as we don't feel the thirst due to cold weather. Cold winters steal the humidity from air and it affects our skin badly. The air with no humidity steals the humidity of our skin which makes our skin dry. There are a few tips that you may use to help yourself in not letting your skin dry due to lack of humidity in air. Don't due hot water for bathing or hand-wash : Yes ! Hot water is the worst enemy of your face and hands, which usually remain open even in winters. Hot water strips away the oils present on our skin. These oils actually act as a barrier between our skin and outer air, and helps in keeping the water inside our skin. But as we wash our hands, face or body with hot water, it washes away these oils and makes our skin prone to dryness. So instead of using hot water, use lukewarm water. Usually we bath just once in a day but wash our hands and face multiple times in a day, which makes them more prone to dryness. Don't use heating systems too much : Heating systems are a necessity in extreme winters, but the side-effect of using them is that they further steal the humidity from less humid winter air. This effect increases the opportunity for that air to make our skin dry. Use Humidifiers : Humidifiers are basic necessity in your bedroom during winters, so that the humid air no longer steals the humidity from your body. Some good humidifiers are shown below. Check Price of best humidifiers available. Avoid irritating fabrics : Some fabrics are irritating for our skin, such as wool, which can be allergic if it touches our skin directly. Our skin become more sensitive during winters, so save it from any allergy due to irritating fabric. Drink more water: Hydrating our body from inside is necessary. During winters we usually tend to drink hot drinks like tea or coffee and forget to drink water. But forgetting it costs our skin too much, so drink lukewarm water at regular intervals. Use appropriate cleansers: Some cleansers are not good for skin during winters as they dry you skin too much. So use a good appropriate cleanser to clean your skin. Check Price of best skin cleansers for dry skin. Dead skin cells : As skin cells die on the outer layer of skin, they don't let a moisturizer do it work as moisturizer is not absorbed by dead cells and further not let it reach the living cells underneath. Removing the dead cells from face can be done by an exfoliating face mask. Check Price of best exfoliating face masks. Dry hands are the worst thing that happen to a person during winters. Apart from the above tips you can put a good moisturizer on every wash-basin in your home and apply it on your damp hands after washing your hands every time and never use too hot water for washing hands.